By now, you may be getting a little tired of burgers and hotdogs on the grill. For us on the coast, that means breaking out the seafood. 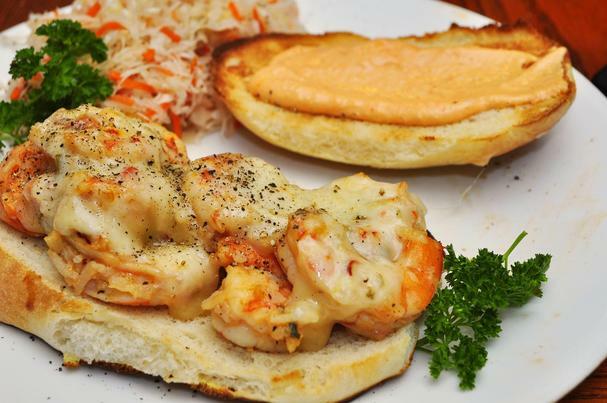 Grilled shrimp takes fresh seafood to a whole, new level. It's also one of the quickest things to grill-needing only a couple of minutes on the heat. With this recipe, dinner is served in the time it takes to set the table. So perfect for our busy lives. 1.Mix together shrimp, celery, onion, parsley, SALT FOR LIFE, and pepper in medium bowl; set aside. In separate small bowl stir together mayonnaise, lemon juice and hot chili sauce. 2.Set oven to broil (400-500 degrees). Toast buns on rimmed baking sheet, split side up, 30 seconds or until golden brown. Spread buns with butter. 3.When ready to serve, fold mayonnaise mixture gently into shrimp mixture until just combined. Spoon into buns, dividing evenly. Serve Immediately.